Police issued a man in Montreal, Canada a $118 fine after he told them he was singing in his car. 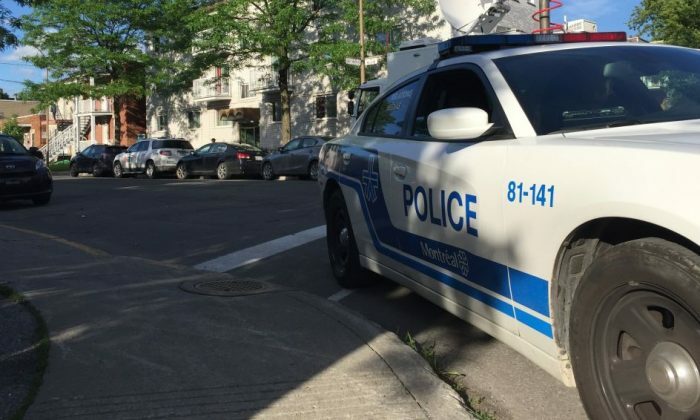 Taoufik Moalla had just dropped off his children and was headed to buy a bottle of water when four police officers stopped him, looked in his car, and then asked him a question, according to CTV News. “Then they asked me if I screamed. I said, ‘No, I was just singing,’” said Moalla to CTV News. He heard his favorite song come on the radio. The 90’s dance anthem “Gonna Make You Sweat (Everybody Dance Now)” by C+C Music Factory. A Thump article says the original song was “scream-sung” by vocalist Martha Wash. If Moalla was imitating her style, it may have come across as screaming to police. But Moalla said he wasn’t singing very loud. Screaming in public in Montreal can result in a fine of anywhere from $50 to $1,000 Canadian dollars the first time, and then $100 to $2,000 for repeat infractions. The police checked Moalla’s license and registration before issuing him a ticket for screaming. The ticket says he’ll have to pay $149 Canadian dollars, which is about $118 in United States currency. He plans to fight the ticket. Moalla could wait as much as a year for the court date. He brought up a scenario involving Quebec’s legendary pro hockey team to analyze the fairness of the law. But Moalla said his wife would have come down on him even harder if she was among the police officers that day. “She told me, if it was for singing, I’d have given you a ticket for $300,” he said.